"Westwood Lutheran Church, St. Louis Park, Minnesota." Westwood Lutheran Church, St. Louis Park, Minnesota. 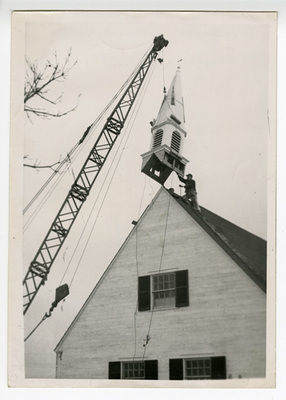 Exterior view of steeple being moved by a crane into position on Westwood Lutheran Church.